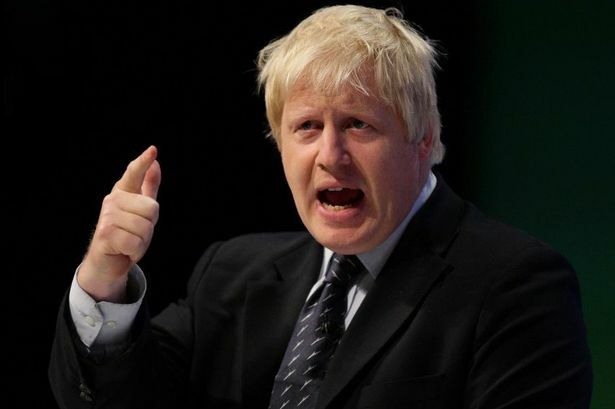 A Boris Johnson-style elected mayor is likely to be running the West Midlands region by 2019, according to sources close to the new group of council leaders. The seven leaders of Birmingham, Solihull, Coventry and the four Black Country councils have reluctantly concluded that an elected mayor is almost inevitable if the region is to break free from London&apos;s control - but they hope to put it off for a few years yet. They are days away from signing a new combined authority deal under which they will share responsibility for economic development and transport policy. Consultation on the proposal will take place over the summer after which a formal plan will be put to the Government and the new authority will begin from April. And Chancellor George Osborne has made it clear they can take control of even more policy areas, such as the Jobcentre service, health and social care and move billions of pounds worth of government funding from London, if they adopt an elected mayor. A source close to the talks said: "A shadow board should be brought about fairly quickly now and after that we will be in touch with the Chancellor. "A mayor is not really ruled in or out at this stage but Osborne really wants it to happen." Greater Manchester, which is racing ahead with its devolution deal, is set to elect its first mayor in 2017. Here, the seven leaders have only just agreed the new group will not be called Greater Birmingham and will instead go by the name West Midlands Combined Authority or WMCA. It is understood they failed to agree on suggested alternative titles, such as Greater Birmingham or even Heart of England authority. Business leaders in particular were keen on &apos;Greater Birmingham&apos; which they saw as having a higher recognition factor, particularly when dealing with overseas investors and clients. Earlier this month, Mr Osborne made it clear the West Midlands would only get the full, wide ranging devolution package, including areas like social care and health, under an elected mayor. He said: "Local people who pay their taxes need to make sure they can hold power to account and they know who carries the can if things go wrong. The mayor model works best."